Growing up in Denmark, it was the norm to eat Rye Bread or Røg Brød. Now after living in Australia and the UK I have realised its not as common. 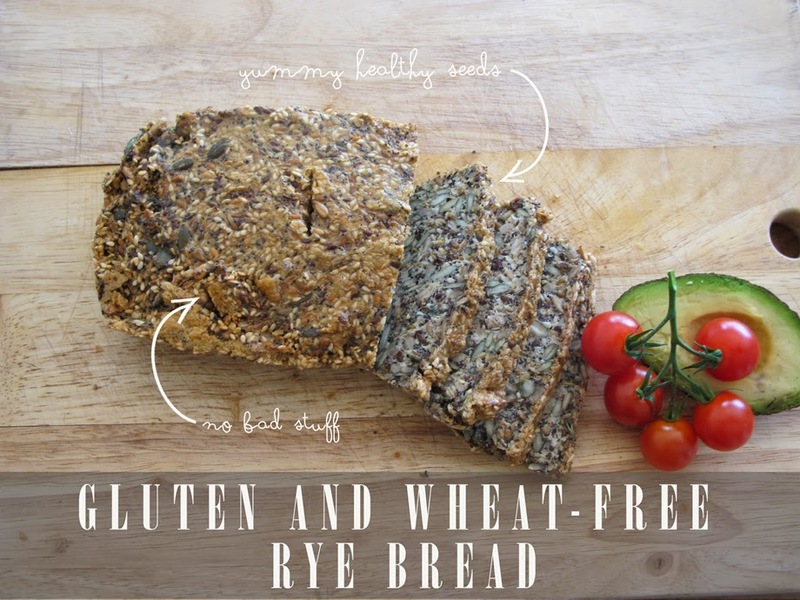 What makes this recipe so special and unlike normal Rye Bread - it is completely gluten and wheat free. 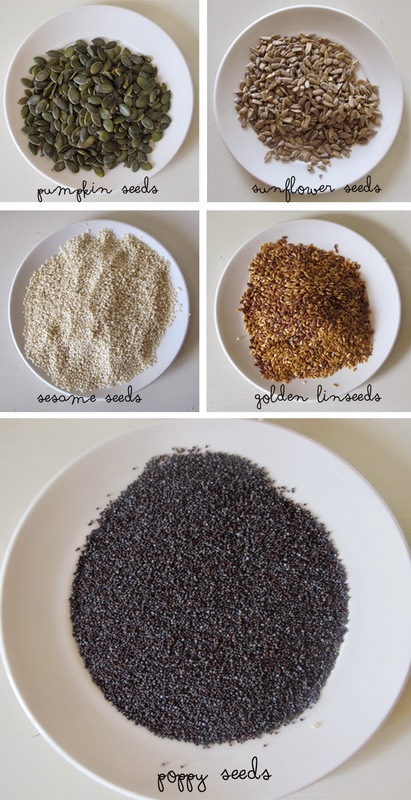 You can also change it up a bit ...in this recipe i used linseeds and poppy seeds but you could add crushed cashews, walnuts, or anything you like. Over the past year I have tried to be healthy with the food that I eat - and do find that my digestive system struggles with white bread. Thats not to say I dont sneak in a few pieces of toast and pain au chocolat every now and then. :) After a week of eating this bread I feel energized, no stomach cramps and my skin is glowing. This is a recipe that I love making in the morning before going to work. Its a pricey kind of bread when you add up the cost of all the seeds and nuts - but it will last up to 14 days if kept in an airtight container in the fridge. Prep Time: 15 mins Cooking time - 45 mins to 1 hour depending on your oven. 1. Preheat your oven to 160 degrees and mix all of the seeds/nuts together in a mixing bowl. 2. Add the water and salt. 3. Add one egg at a time and dont mix too vigorously, just a soft gentle stir in. 4. Pour your mixture into a loaf style baking tin - i like to use the flexi silicone type so i can just push it out. If you are using a regular tin make sure it is completely greasy. 5. Bake in the oven for 45 mins and check on it - same test as you would for a cake - stick a thin knife in and if it comes out completely clean then its good to take out. 6. Grab a coffee, read the papers and give the bread about 20 mins resting time. This is perfect to have with a couple of boiled eggs and avocado. I ran out of eggs making the bread (typical) so had mine with some fresh avocado, chilli flakes, and chopped cherry tomatoes! DELISH!! !